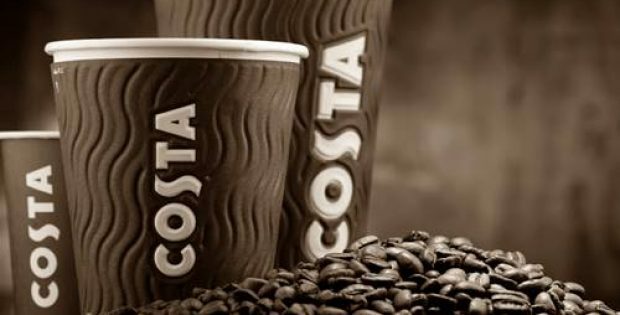 UK chain Costa Coffee which was recently acquired by beverage giant Coca-Cola has reportedly teamed up with Barclaycard, to launch reusable coffee cups. These coffee cups, reportedly, will be integrated with contactless payment technology that allows customers to pay for their coffee with just a wave of their mug. As per credible sources, the cups will contain a silicon base with a contactless chip that can be detached before washing. Customers can use the cup to buy coffee at Costa or any other place that accepts contactless payments. Costa Coffee is all set to roll out a whole range of reusable cups to get coffee lovers to ditch the single-use takeaway cups. According to a news report by Internet Retailing, the efforts are a part of the Coffee Major’s announcement back in April to recycle 500 million cups by 2020. In addition, the Clever Cups will be sold in packaging manufactured from recycled coffee cups. According to sources familiar with the product, the cup is powered by Barclaycard’s bPay technology, which means users can keep a track of their spending, recharge their balance and take control to cancel or block the contactless payment service online or through the app. Jason Cotta, Managing Director of Costa Coffee was quoted saying that contactless technology has grown to become a significant part of everyone’s daily lives and by launching the new Clever Cup, the company hopes to appeal to tech-savvy consumers to facilitate and promote eco-friendly behavior. Cotta further added that, while the company is committed to assuring whether more takeaway coffee cups are collected, and recycled Costa also wishes to incentivize and reward customers who are willing to help minimize the number of wasted takeaway cups. The company has already begun offering a 25p discount on hot drinks across all its stores for customers bringing their reusable cup, Cotta added. It has been reported that Clever Cup will soon be available in all Costa Coffee stores for £14.99, with £1 from every sale directed to the Costa Foundation.